ExxonMobil, working to develop Guyana’s first set of producing oil wells, over 100 miles from shore, is set to begin operations as early as late 2019, the first commercial oil for this country. The US Company said the recent incident has not stopped its exploration work. Venezuela has revived claims on a large part of Essequibo following the 2015 announcement by ExxonMobil that it struck oil in large quantities, in Guyana’s waters. Guyana has since asked the United Nations’ International Court of Justice, in The Hague, to make a decision on the claims, once and for all. Venezuela, on the other hand, has already says it will not recognize the decision of the ICJ and prefers to continue talks with Guyana via what is known as the UN’s Good Office process – a process that crawled painfully on for 25 years without much progress. The decree on Friday would come after Venezuela, earlier this month, collected two nuke bombers planes from Russia. With Russia also reportedly thinking of building a base in the region, Venezuela’s aggression towards Guyana and ExxonMobil would not be surprising. According to a Telesur report yesterday, Maduro signed a decree Friday to protect the sovereignty of the Orinoco Delta region. 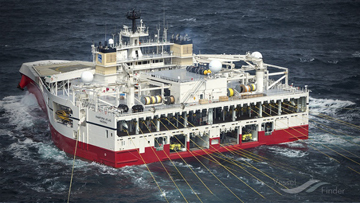 The decision follows the recent “incursion” of two vessels hired by ExxonMobil. 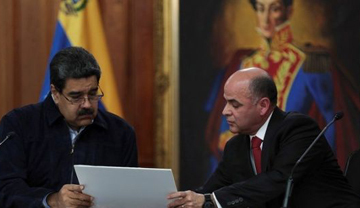 According to the report, during the Council of Ministers of the Venezuelan cabinet, held at the Miraflores Palace, President Maduro made the document that supports the defense on the continental shelf of the area official. “This decree has been approved for the sovereign and jurisdirectional guarantee of the Continental Shelf the Orinoco Delta. This asserts maximum legal security to the maritime spaces of Venezuela,” the vice-president of Venezuela, Delcy Rodriguez, confirmed to local media. For his part, Venezuelan Minister of Foreign Affairs Jorge Arreaza said, through his Twitter account, that the decree strengthens full sovereignty of the Orinoco Delta, amid tensions with Guyana after the “unauthorized emergence” of two ships in that area. To justify the decree, it was explained that in the past, Venezuela gave out Southern Orinoco mines to transnational and private individuals. However, now, the Telesur report quoted Venezuelan officials, Venezuela does not give up its mining rights but promotes productive strategic alliances and mixed companies, under strict environmental and social regulations. 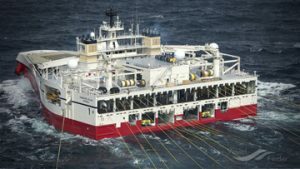 On December 23, the Venezuelan National Navy said it detected the “incursion”, into its jurisdictional waters, of two seismic-exploration vessels, the Ramform Tethys of the Bahamas, and ‘Delta Monarch’ of Trinidad and Tobago. According to the Venezuelan Government’s information, the captains of the intercepted ships claimed to have permits from Guyana’s Government to operate in that maritime space. However, Venezuela insisted those ships were in coordinates corresponding to the maritime projection of the Orinoco Delta. Oil-rich Venezuela is facing major economic troubles under Maduro with shortage of food and basic items reported. Inflation has been on a runaway train and tens of thousands of citizens have been fleeing, including to Guyana. The aggression to Guyana has been said to be but a distraction of Maduro and his administration to shift attention from his troubles at home. Russia owns our bauxitie via RUSAL so why would they create tensions? I could understand if Russia and Venezuela believes that the GoG is being amicable with America, but Russia wouldn’t resort to war using Venezuela as a proxy against Guyana. Russia hates the USA and NATO, not small countries like Guyana.